Goto Aquaculture Institute is a venture company, doing research and development, manufacturing, and sales in the field of aquaculture feed and medicines. We supply about 35% of all fish farmers in Japan. Our team of aquaculture veterinarians and business consultants contribute to the advancement of aquaculture business by providing up-to-date information on feed, medicine, equipment, hatchling, and sales of the farmed fish. Our company philosophy: “Get ahead of changes”. Today, our societies and economies are changing with great speed at global level. It is our mission to always get ahead of those changes, so that no matter how things may change, we can continue to serve our customers and society at our best. 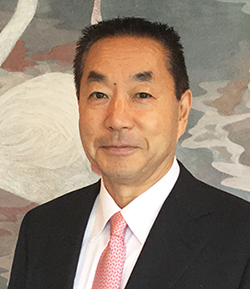 If a company is valued by customers and society, it can also prosper. We are determined to be challengers, thinking in a global perspective and providing new and high value-added products and services. In order to contribute to our important customers and society, we promise to work honestly, scrupulously, and untiringly. We are a team of challengers with a strong will to make breakthroughs and create a better future. 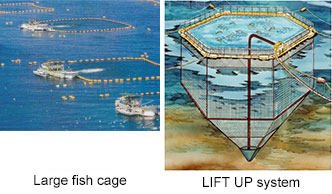 In 1990, Goto Aquaculture Institute was founded as a unique group of technicians, with the specialized staffs including veterinarians, pharmacists, and aquaculture experts. Our staffs work as aquaculture doctors and consultants, and give assistance and advices on optimal feed, equipment, and selection of hatchlings. 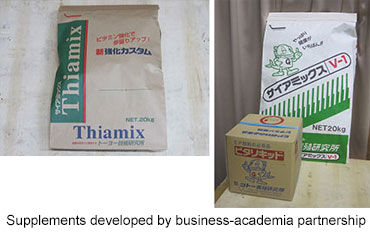 In our research on fish feed and medicine, we obtained many patents in Japan and internationally, bringing innovation to the aquaculture technology. Our sales representatives, as aquaculture doctors and consultants, visit fish farmers daily to give best advices on selections of fish feed for our customers. We fully utilize our network of fisheries specialists in various universities, national research laboratories, and aqua farms to gain know-how and to develop our unique nutritional supporting supplements. Also, we provide in-depth consulting in the area of nutritional supplement, optimized specifically for each aqua farms so that our customers can grow healthy fish. Our staffs visit many places in Japan and all over the world, in order to collect information on various machine and equipment that help modernizing and obtaining high-efficiency in aquaculture. We also challenge in developing such technology ourselves. Based on our experience and know-how, we exchange technical information with various manufacturers and vendors, allowing us to provide cutting-edge information to our customers. 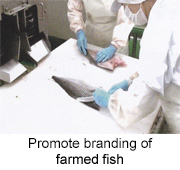 We help promote sales of farmed fish such as yellowtail, greater amberjack, and red sea bream, all over Japan. 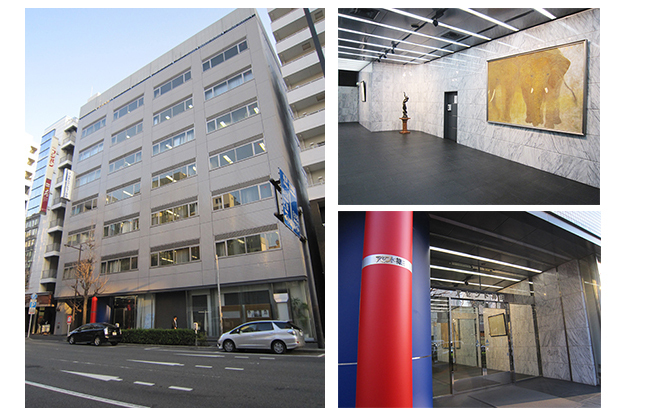 In 2000, we helped establish Kanoya Fillet Co.,Ltd. which has automated fillet making factories, and contributed to improve the profitability of fish farmers. Our company promotes high quality and safety of domestic farmed fish at trade shows such as Japan Seafood Show, trying to expand the demand for farmed fish. Copyright (C) 株式会社ゴトー養殖研究所 All Rights Reserved.